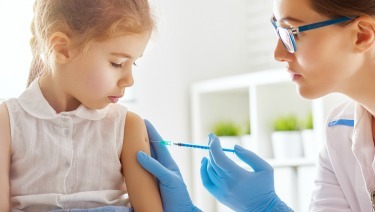 ​The American Academy of Pediatrics has issued a policy statement that describes the recommended 2019 immunization schedule for children and adolescents. The statement, "Recommended Childhood and Adolescent Immunization Schedules – United States, 2019," will be published in the March 2019 issue of Pediatrics. The schedule is updated annually and outlines the timetable for administering vaccinations during stages of a child's development that have proven to be safe and effective at preventing specific diseases. The AAP recommends that children and teens are vaccinated according to the schedule for the best protection against diseases. The schedules include recommended vaccines from birth through age 18 years, as well as a catch-up immunization schedule for those ages 4 months through 18 years. Recent outbreaks of measles often start within pockets of unvaccinated people underscoring the need for close adherence to the recommended immunization schedule. The schedule directs health care providers to contact state or local health departments for information regarding vaccination in the event of a vaccine-preventable disease outbreak. The immunization schedules are approved annually by the AAP, the Advisory Committee on Immunization Practices of the Centers of Disease Control and Prevention, the American Academy of Family Physicians, and the American College of Obstetricians and Gynecologists. We will post the parent-friendly versions of the immunization schedules on our site as soon as they become available.